Natural gas is primarily methane (CH4) with smaller quantities of other hydrocarbons. It was formed millions of years ago when dead marine organisms sunk to the bottom of the ocean and were buried under deposits of sedimentary rock. Subject to intense heat and pressure, these organisms underwent a transformation in which they were converted to a gas over millions of years U.S. Energy Information Administration (2015). "Natural Gas Explained". http://www.eia.gov/energyexplained/index.cfm?page=natural_gas_home U.S. Energy Information Administration (2015). "Natural Gas Explained". http://www.eia.gov/energyexplained/index.cfm?page=natural_gas_home U.S. Energy Information Administration (2015). "Natural Gas Explained". http://www.eia.gov/energyexplained/index.cfm?page=natural_gas_home U.S. Energy Information Administration (2015). "Natural Gas Explained". http://www.eia.gov/energyexplained/index.cfm?page=natural_gas_home U.S. Energy Information Administration (2015). "Natural Gas Explained". http://www.eia.gov/energyexplained/index.cfm?page=natural_gas_home U.S. Energy Information Administration (2015). "Natural Gas Explained". http://www.eia.gov/energyexplained/index.cfm?page=natural_gas_home U.S. Energy Information Administration (2015). "Natural Gas Explained". http://www.eia.gov/energyexplained/index.cfm?page=natural_gas_home U.S. Energy Information Administration (2015). "Natural Gas Explained". http://www.eia.gov/energyexplained/index.cfm?page=natural_gas_home U.S. Energy Information Administration (2015). "Natural Gas Explained". http://www.eia.gov/energyexplained/index.cfm?page=natural_gas_home . Natural gas is found in underground rocks called reservoirs. The rocks have tiny spaces in them (called pores) that allow them to hold water, natural gas and/or oil. The natural gas is trapped underground by impermeable rock (called caprock), and stays there until it is extracted. Conventional natural gas can be extracted through drilling wells. Unconventional forms of natural gas like shale gas, tight gas, sour gas, coalbed methane and gas hydrates have specific extraction techniques. Natural gas can also be found in reservoirs with oil and is extracted alongside oil; this is called associated gas. In the past, this gas was commonly flared or burned as a waste product but in most places today is captured and used Spectra Energy (2015). "Natural Gas 101"http://www.spectraenergy.com/Natural-Gas-101/ Spectra Energy (2015). "Natural Gas 101"http://www.spectraenergy.com/Natural-Gas-101/ Spectra Energy (2015). "Natural Gas 101"http://www.spectraenergy.com/Natural-Gas-101/ Spectra Energy (2015). "Natural Gas 101"http://www.spectraenergy.com/Natural-Gas-101/ Spectra Energy (2015). "Natural Gas 101"http://www.spectraenergy.com/Natural-Gas-101/ Spectra Energy (2015). "Natural Gas 101"http://www.spectraenergy.com/Natural-Gas-101/ Spectra Energy (2015). "Natural Gas 101"http://www.spectraenergy.com/Natural-Gas-101/ Spectra Energy (2015). "Natural Gas 101"http://www.spectraenergy.com/Natural-Gas-101/ Spectra Energy (2015). "Natural Gas 101"http://www.spectraenergy.com/Natural-Gas-101/ . Biogenic gas (± 95% methane), or “dry” gas, which was formed by bacterial decay at shallow depth. 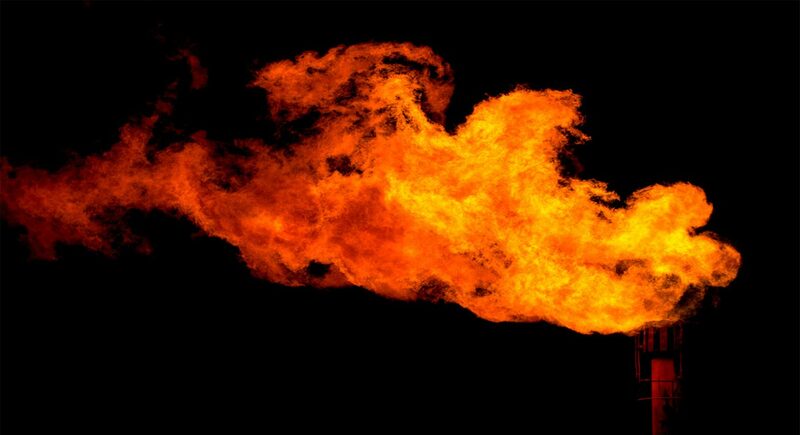 Thermogenic gas (<95% methane), or “wet” gas, which is a lower quality gas formed at high temperatures. Wet gas on the other hand contains compounds such as ethane and butane, in addition to methane. These natural gas liquids (NGLs for short) can be separated and sold individually for various uses, such as refrigerants and to produce petrochemical products, like plastics. (House of Commons, 2011). Natural gas is mostly used for domestic or industrial heating and to generate electricity. U.S. Environmental Protection Agency (2015). "Natural Gas"http://www.epa.gov/cleanenergy/energy-and-you/affect/natural-gas.html U.S. Environmental Protection Agency (2015). "Natural Gas"http://www.epa.gov/cleanenergy/energy-and-you/affect/natural-gas.html U.S. Environmental Protection Agency (2015). "Natural Gas"http://www.epa.gov/cleanenergy/energy-and-you/affect/natural-gas.html U.S. Environmental Protection Agency (2015). "Natural Gas"http://www.epa.gov/cleanenergy/energy-and-you/affect/natural-gas.html U.S. Environmental Protection Agency (2015). "Natural Gas"http://www.epa.gov/cleanenergy/energy-and-you/affect/natural-gas.html U.S. Environmental Protection Agency (2015). "Natural Gas"http://www.epa.gov/cleanenergy/energy-and-you/affect/natural-gas.html U.S. Environmental Protection Agency (2015). "Natural Gas"http://www.epa.gov/cleanenergy/energy-and-you/affect/natural-gas.html U.S. Environmental Protection Agency (2015). "Natural Gas"http://www.epa.gov/cleanenergy/energy-and-you/affect/natural-gas.html U.S. Environmental Protection Agency (2015). "Natural Gas"http://www.epa.gov/cleanenergy/energy-and-you/affect/natural-gas.html It can also be compressed and used to fuel vehicles (Compressed Natural Gas or CNG), and as a feedstock for fertilizers, hydrogen fuel cells and other chemical processes. Despite fewer emissions, natural gas is still a source of greenhouse gases and like all fossil fuels, is a nonrenewable resource. In addition, methane is a potent greenhouse gas itself, having nearly thirty four times the impact of CO2. During drilling, natural gas can escape into the atmosphere and contribute to climate change. Natural gas leaks are also dangerous to nearby communities because it is colorless, odorless, highly toxic and highly explosive. The drilling process itself can also have environmental impacts mostly related to land disturbance and waste removal Natural Resources Defense Council (2015). "Unchecked Fracking"http://www.nrdc.org/energy/gasdrilling/ Natural Resources Defense Council (2015). "Unchecked Fracking"http://www.nrdc.org/energy/gasdrilling/ Natural Resources Defense Council (2015). "Unchecked Fracking"http://www.nrdc.org/energy/gasdrilling/ Natural Resources Defense Council (2015). "Unchecked Fracking"http://www.nrdc.org/energy/gasdrilling/ Natural Resources Defense Council (2015). "Unchecked Fracking"http://www.nrdc.org/energy/gasdrilling/ Natural Resources Defense Council (2015). "Unchecked Fracking"http://www.nrdc.org/energy/gasdrilling/ Natural Resources Defense Council (2015). "Unchecked Fracking"http://www.nrdc.org/energy/gasdrilling/ Natural Resources Defense Council (2015). "Unchecked Fracking"http://www.nrdc.org/energy/gasdrilling/ Natural Resources Defense Council (2015). "Unchecked Fracking"http://www.nrdc.org/energy/gasdrilling/ . Conventional Gas refers to natural gas that can be produced from reservoirs using traditional drilling, pumping and compression techniques.